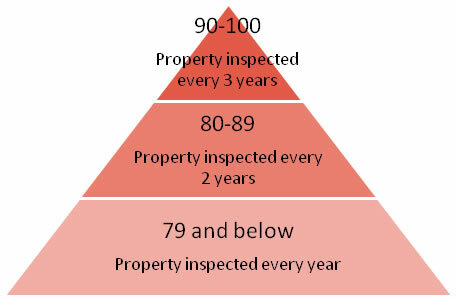 REAC Inspections are scored using a scale of 1 to 100. 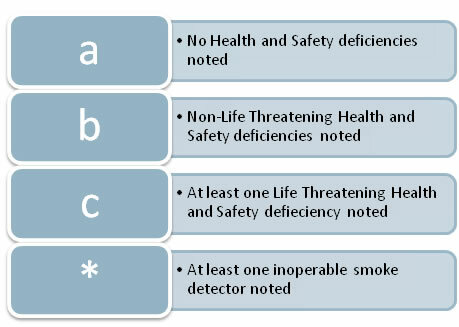 The most recent REAC score determines when the next inspection will occur. A passing score for a REAC Physical Inspection is 60 or above. According to HUD protocol, for all inspections released on or after January 22, 2010 with a score of 59 and below, the Owner will be contacted by the property’s local HUD Program Center and will receive a Notice of Default (NOD) and/or a Notice of Violation (NOV) of the HAP Contract. A score of 29 and below is subject to referral to HUD’s Department of Enforcement Center (DEC) and receipt of a NOD/NOV.